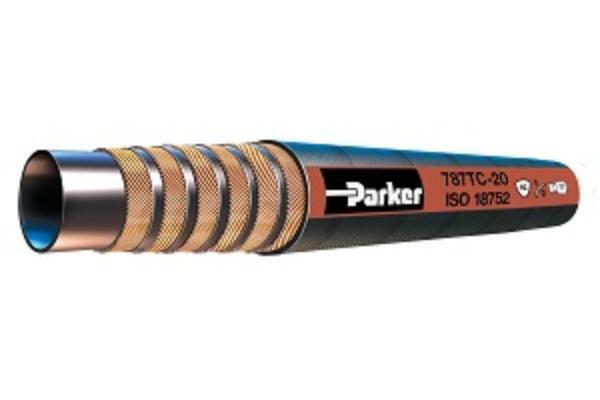 Parker’s 787TC hose, within the GlobalCore product line, was designed to deliver consistency and reliability with a constant working pressure of 5,000 PSI in all sizes. The 787TC hose is made with Compact Spiral technology making it light, durable, and easily bent making installation easier and quicker. The 787TC hose is designed, built, and tested to meet ISO 18752 performance specifications. Sizes range from ¼” to 2” in diameter with different cover options available for various markets.